Every two weeks about seven, sweet girls from our church meet at my house to do activities. They range in age from eight to ten. My daughter Talley is in this age group and we have a blast! 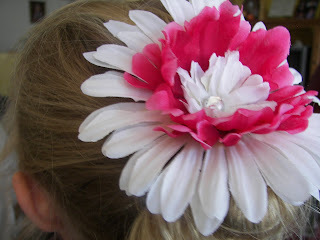 This week we made flower clips. I have included the instructions below. Super simple and cheap to make. 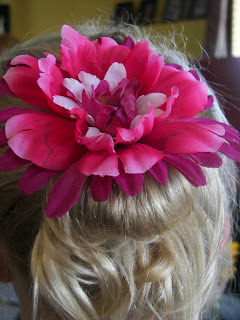 The little girls love to wear them...and most of them chose PINK flowers! You will need a silk flower, brass brad, hair clip, and medical tape. 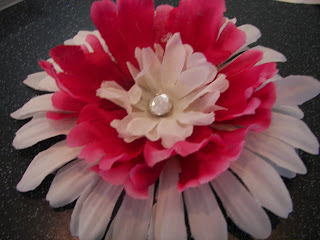 You may also need a hot glue gun and jewels or buttons if you want to adorn your flower. You can also add glitter or ribbon. 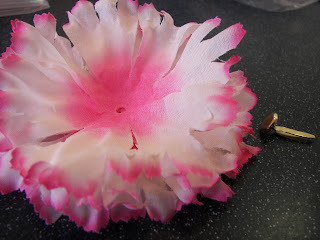 First, take a silk flower and take the leaves, stem, and inner parts of the flower apart. 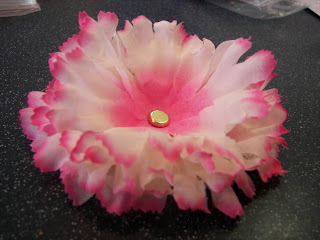 Then take a brad and poke it through the holes of the flower. Put the brad through the hole of the clip (available at beauty supply places) and spread the spikey parts of the brad horizontally. 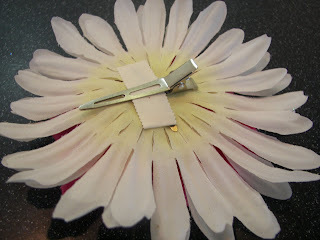 Then open the clip and secure bottom part of clip with tape (medical tape). Use hot glue to glue jewel on if you desire and you are DONE! Joni, this is so cute! I'm going to send it to a client who's a Brownie scout leader- her girls would LOVE it! Oh, I'll be those little girls love making these. 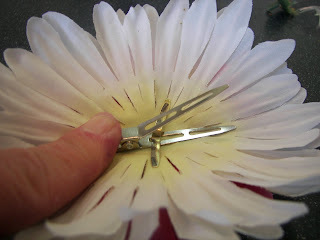 You could clip them to a bag or as curtain tie-backs in a girl's room. Very clever and simple. This is so beautiful..thanks for the instruction! Love this! Happy Pink Saturday! Beautiful! Lovely post for Pink Saturday! Hope you have a great weekend. Very beautiful! Happy Pink Saturday! I have teenage grandaughters that would love these flowers. Thank you so much for the tutorial. I am signing up to follow you,so I don't forget to come back and look more. 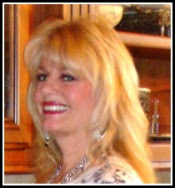 You've a wonderful blog and the recipes sound wonderful. Happy Pinks and have a wonderful weekend. SWEET!!! 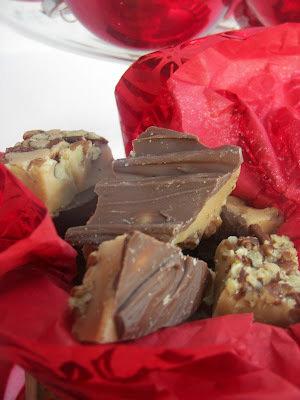 I want to make some now. I never knew these were so easy! Totally cute, thanks for sharing!